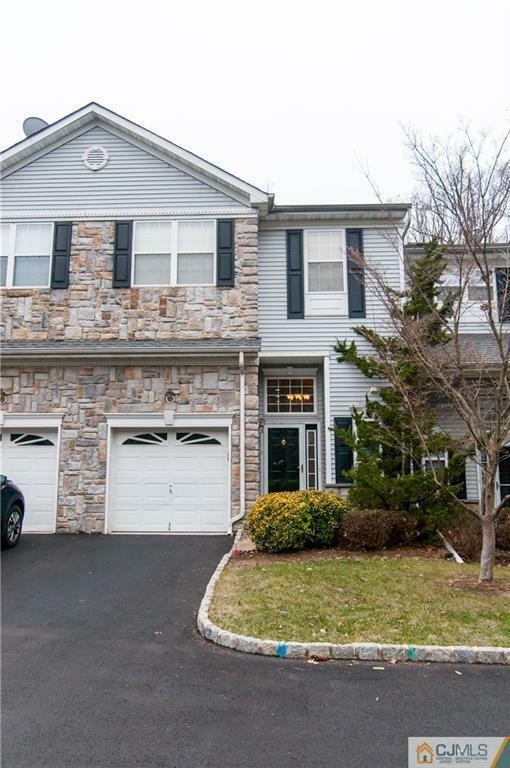 Move right into this lovely 3 BED 2.5 BATH Townhome with full finished W-O basement! Enter into 2 story spacious foyer with wood floors. Open floor plan wood flooring recessed lights and decorative crown molding. Sliders off Living room to deck which backs up to woods. Updated kitchen with tile backsplash, pantry, stainless steel appliances. Large Master Suite with cathedral ceilings, two closets WIC and full bath complete with double vanities, soaking tub, cathedral ceilings and skylights. Fully finished basement has recessed lights and sliders to outside. One car finished garage with attic storage above completes the package. Very conveniently located near GSP, NYC transportation, shopping.